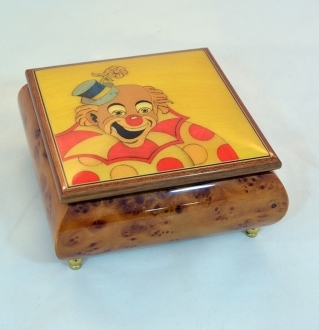 This is a typical children’s musical box. 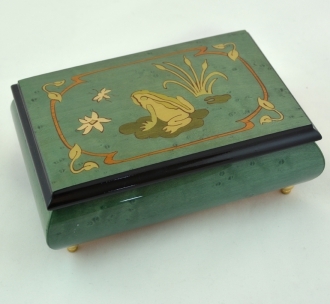 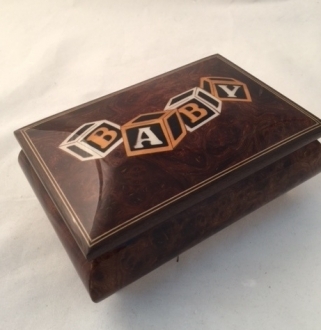 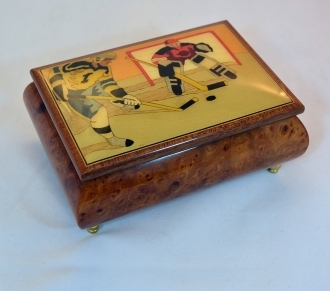 This musical box is made of polyresin and wood. 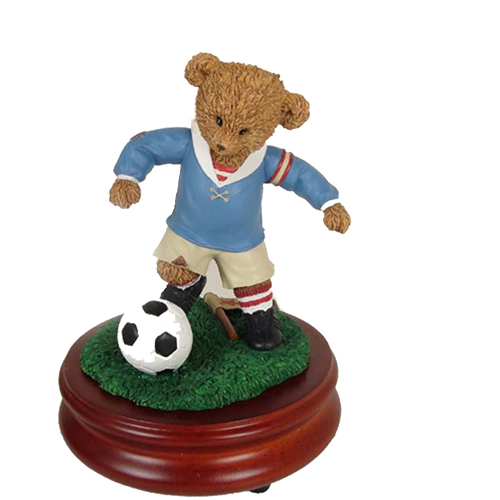 The figure of a teddy bear, about to kick a football, will be the favourite of any child. 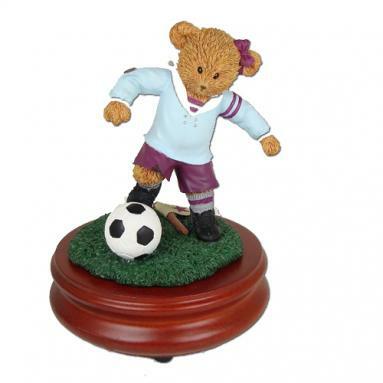 This is a charming décor item for a child’s table. 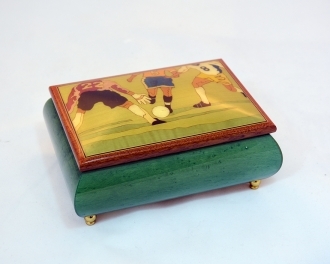 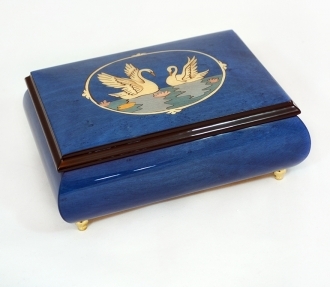 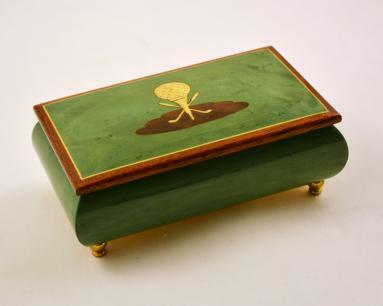 This Sorrento music box is hand crafted by the Italian artists. 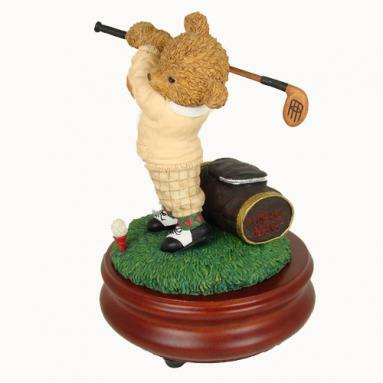 This is an apt gift item for a boy. 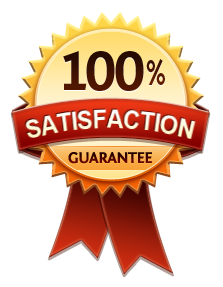 Really nice, I am happy!